The 10th SRC Parliamentary Council of Kwame Nkrumah University of Science and Technology (KNUST) has held its first State of the SRC Address for the 2018/19 Academic year. The programme which was organised at the IDL Conference Centre on Sunday 6th October, 2018 was to recognise the achievements of the current SRC leadership and to outline measures being put in place to address challenges confronting students. The Speaker of the SRC Parliament, Hon. Speaker Benjamin Kissi Sasu applauded the leaders for their commitment and service and advised students to desist from circulating false information on various social media platforms which tarnish the image of the university. He admonished the student leaders, to encourage their constituents to approach them with their problems. In his address the SRC Member of Parliament (MP) for Kotei, Mr Frederick Agyei commended the University’s initiative of improving security on campus and pleaded with management to extend these measures to off campus locations. The MP for Ayeduase decried the rampant development of slums around student hostels. This, he said, poses a security threat to students. The SRC President of KNUST, Mr. Kelvin Sah, stated that his administration had succeeded in ensuring that student fees had been reduced. He said plans are underway to ensure that hostel prices for International students are reduced. 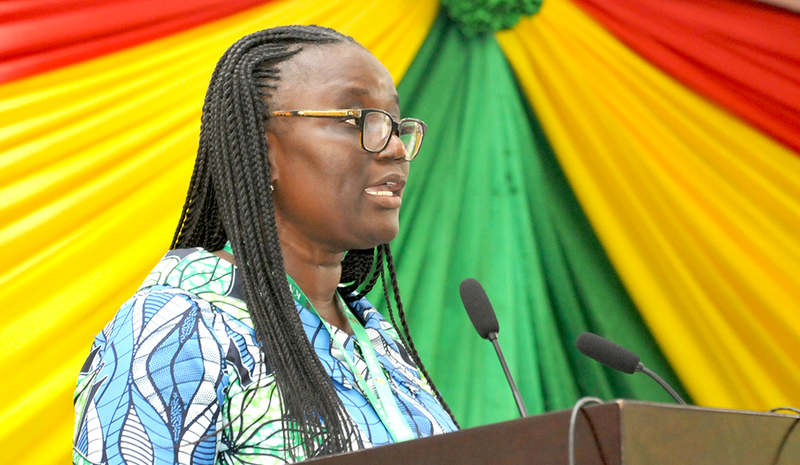 Professor Mrs Rita Akosua Dickson, Pro-Vice Chancellor of KNUST, expressed her appreciation to the leaders for organising such programmes to present and deliberate on pertinent issues of the University. She said the management of the university is making all efforts to ensure the comfort of students on campus through the provision of numerous key infrastructural developments. She also encouraged the students to remain disciplined and focused at all times which according to her are key to achieving one’s aspirations and goals. She advised the students to be creative and innovative in problem solving. Touching on the water crisis, she recounted that an accident at Oforikrom main stretch led to the water and sewage problem being encountered by the University. According to her, the Maintenance Department is working closely to supply water to the University. Prof. Mrs Dickson added that by the end of this semester, lifts in the halls would work to aid movements of residents. She said the Welfare Services Board is working to ensure that off campus residents also enjoy the free shuttle system. Prof. Wilson Agyare, the Vice Dean of students entreated the students who indulge in theft to put a stop to it. He further advised students to be careful about network marketing jobs as they interfere with their studies.